The author of the best-selling pH Miracle books, already bankrupted and criminally convicted of “practicing medicine without a license,” was slammed with a $105 million judgement last month following a civil trial in a case in which a patient alleged negligence and fraud. The plaintiff is Dawn Kali, a patient who agreed to use his medical protocol. She then sued Robert O. Young Ph.D., claiming he held himself out as a doctor and counseled her to forego traditional cancer treatment and instead use his treatments based on his “alkaline theories.” The reward was more than double what the woman sought. The trial lasted seven days and the jury deliberated less than half a day. The 45-year-old woman’s oncologist says she has only three or four years to live and has stage four cancer. Kali had previously worked for Young and knew his treatments were outside the practices of orthodox medicine. I have read Young’s books. I wrote about The pH Miracle for the readers of my Bob Livingston Letter™ (subscription required) back in April 2012. His theories are sound and based on science, according to my years of research. It’s very simple. A buildup of acid in our bodies leads to death. Our standard American diet promotes acidity with its processed foods, sugars and preservatives. Cooked and processed foods — the foods that make up the diets of most Americans — are mostly acid. Meat is always acid-forming. There are no alkaline-forming meats. Acid (low pH) causes fermentation and disease. That is why there is such a culture of disease in this country. Acidity is fertilizer to cell mutation and malignancy. Body acidity interferes with normal cell death or apoptosis. This is the basis of normal cells mutating into malignancy. At all times the healthy body requires an excess of alkaline reserves to support the body skeleton, and equally to keep the critical 1 percent alkaline balance in the blood and the cell tissue. This is the absolute best guarantee against disease. Our glands and organs function properly in exact proportion to the balance of alkaline and acid balance. It’s possible Young got out over his skis and promised Kali he would “cure” her cancer, though I would guess he’s smarter than that. But if he offered it as a treatment option he did nothing more or less than what mainstream doctors do. So his “crime,” “fraud” and “negligence” was not that his treatments failed. After all, mainstream medicine doesn’t cure disease, it just treats symptoms and covers them over with chemicals. Young’s “crime,” “fraud” and “negligence” was simply that he was not part of the establishment. Cancer is serious business. When people hear the “C” word come out of their doctor’s mouth they believe their death warrant has been signed. It’s also serious business for the medical-industrial complex, which makes big money off cancer treatments and cancer drugs. Oncology is a most damnable plot against cancer patients. The cash register rings for every new cancer patient. Insurance companies contribute to the pain, suffering and death. In 2014 Americans spent $32.6 billion on oncology drugs and another $11.1 billion supportive care treatments. New cancer drugs cost anywhere from $10,000 to $30,000 per month. Kali complained that Young was charging her $500 per treatment that consisted of giving intravenous fluids with baking soda. A baking soda treatment was devised and long used by Italian doctor Tullio Simoncini (who has also been stripped of his medical license). People undergoing cancer treatments die every day. But state-sponsored, officially-approved death is OK. No one thinks twice if someone dies after chemotherapy. And chemotherapy doesn’t cure anyone. In fact, chemotherapy is a catalyst for cancer cell growth, as a study published in Nature Medicine found. In his book Questioning Chemotherapy, leading author and consultant on cancer treatment Ralph Moss, Ph.D., explains chemotherapy to be an effective treatment option in only 2 percent to 4 percent of cancers: Hodgkin lymphoma, acute lymphocytic leukemia, testicular cancer and choriocarcinoma. 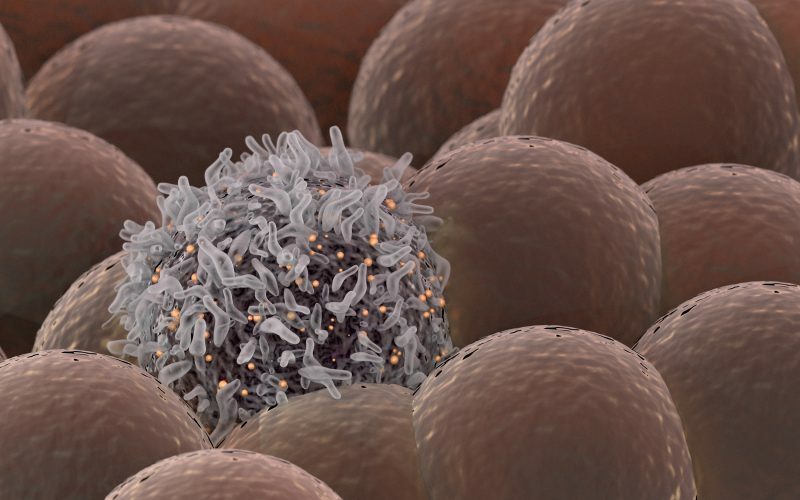 A report funded by the U.S. National Institutes of Health and published in the journal Proceedings of the National Academy of Sciences (PNAS) shows that cancer-fighting drugs actually induce major stem cell damage that causes more cancer. An abstract of the report can be seen here. The upshot is that even though the chemical cocktails used to treat tumors are sometimes initially effective at stemming more tumor growth and the spread of more tumor cells, the damage they leave behind causes more tumors to develop on stem cells. And given the right environment and genetic background, those tumors could become malignant. Cutting, burning and poisoning (surgery, radiation and chemotherapy) do nothing to cure cancer, nor can they reverse the underlying mechanisms that triggered or promoted its growth in the first place. Moreover, cancer will likely return somewhere else in the body if conventional methods are your only treatment strategy. It sounds backward to suggest that cancer treatment is deadlier than cancer. And saying so is certain to earn you scornful looks from the vast majority of people. But what the medical establishment doesn’t reveal is that cancer drugs like chemotherapy are the direct cause of death of thousands of cancer patients each year. Most cancer patients who die don’t die from cancer. They die with cancer. No doubt, the powerfully toxic drugs can kill cancer cells. But they also don’t discriminate and wreak havoc on healthy cells as well. And when too many healthy cells are destroyed, so too are the people they make up. Now back to body pH and maintaining your health; after all, it’s better to keep your body healthy and avoid cancer than to try and treat it once it’s taken hold, right? High pH or about 7.25 is alkaline and increases the oxygen content of the blood and tissue. Cancer cells are anaerobic. If cancer cells get enough oxygen they die, hence the theory behind Young’s protocol. According to a study conducted by the Arizona Respiratory Center at the University of Arizona and published in the U.S. National Library of Medicine National Institutes of Health’s PubMed.gov, “Acidogenic diets, which are typically high in animal protein and salt and low in fruits and vegetables, can lead to a sub-clinical or low-grade state of metabolic acidosis.” This leads to an increase in the risk of cancer, elevated levels of insulin and a host of diseases. In addition to helping your pH balance, they also contain a host of necessary nutrients, antioxidants and other health benefits. P.S. : I’ll have more to say about the benefits of keeping your body in an alkaline state in the January issue of The Bob Livingston Letter. You can subscribe here. This entry was posted in Alternative Medicine, Featured, Health and tagged alternative health, Cancer. Bookmark the permalink. founder of Personal Liberty Digest™, is an ultra-conservative American author and editor of The Bob Livingston Letter™, in circulation since 1969. Bob has devoted much of his life to research and the quest for truth on a variety of subjects. Bob specializes in health issues such as nutritional supplements and alternatives to drugs, as well as issues of privacy (both personal and financial), asset protection and the preservation of freedom. Comment Policy: We encourage an open discussion with a wide range of viewpoints, even extreme ones, but we will not tolerate racism, profanity or slanderous comments toward the author(s) or comment participants. Make your case passionately, but civilly. Please don’t stoop to name calling. We use filters for spam protection. If your comment does not appear, it is likely because it violates the above policy or contains links or language typical of spam. We reserve the right to remove comments at our discretion. The information left out from the court which the Judge would not allow in was that Dawn Kali was in remission from all cancers on October 8th, 2013. I have the audios which I am willing to share and the PET scans showing the reversal of Stage 4 breast cancer with metastasis to the bone. I also have audio from Dawn declaring in November of 2013 she was cancer free. Let me know if you would like the PET scans and the audios. I agree that my only crime against Dawn Kali was curing Dawn Kali numerous times from cancer even though she was a declared alcoholic from 2004 to 2015, a recreational drug user and bulimic. I have the recording that was completely ignored from Dawn Kali stating she was cancer free. The real reason she filed a law suit against me was because she was threatened by the establishment. Thank you for your work Dr. Young. It’s a tough battle, but we can’t give up. “They” don’t want us cured. What would happen to Big Pharma? Dawn Kali shares the truth about her cancerous condition in an interview by Chris Owen from Prime Modeling Agency in London, England. The interview took place in the Spring of 2013. “Cancer is serious business. When people hear the “C” word come out of their doctor’s mouth they believe their death warrant has been signed. PS Dawn Kali did not pay for any treatments from Dr. Young. In fact she received over $200,000 i free care because she had no money! Dawn Kali brings true meeting to the words, “No good deed goes unpunished!” During the time from 2010 to April/May of 2013 Dr. Young gave Dawn Kali over $450,000 in services and money. Why would Dawn do such a thing? Follow the money! It will always lead you back to the real criminals in this case. We can attach the before and after pictures that Dawn Kali posted on Facebook claiming she was NOW cancer free and the reversal of her Stage 4 breast cancer in December, 2013. Previous PostDr. Young’s Recent Scientific Peer-reviewed Published ArticlesNext PostWhat Your Doctor Did Not Learn In Medical School Could Kill YOU!